Given all the different positions that Mitt Romney has taken throughout his political career, it may be easy to label him a liar and a flip-flopper. But if voters are looking for the “real” Mitt, they will have a hard time trying to peer through the gauzy obfuscations to the man at the core. Mitt plays politics in a carnival funhouse, and one cannot tell with certainty if what they are looking at is the authentic Romney or one of a series of distorted reflections, each intended to please a particular block of voters. Somewhere in the center of the rotating Romney record that spins on the public life turntable, needle dropping alternately (that’s like an iPod shuffle, to you Millennials) on the Senate candidate cut, the Bain cut, Massachusetts governor cut, the 2008 presidential candidate cut, the 2012 GOP primary cut and the 2012 official Republican nominee cut, is a tall, silver spindle that is unmoving and unmovable. 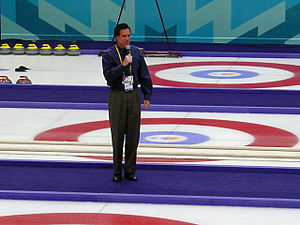 It is the axis around which everything that is Mitt Romney swirls. The first debate, in Denver last week, was the ultimate clue that the Romney campaign is both more and less than it seems. To attribute his polymorphic politics to mere pandering, is to imply a schedule of nefarious plotting by the candidate and his campaign. That is not only antithetical to the moral man he claims to be, it ignores the possibility of a simpler explanation, an Occam’s Razor, if you will. It is not only possible, but likely, that he sees no disconnection between his stoic center and the political characters he has trotted out on the stage throughout his life. Romney considers himself a Mr. Fix-it. The PBS program Frontline, in an exploration of both Gov. Romney’s and President Obama’s upbringings and backgrounds that aired Tuesday evening, described the plight of Miles Romney, Mitt’s grandfather, and its contribution to the Romney family psyche. 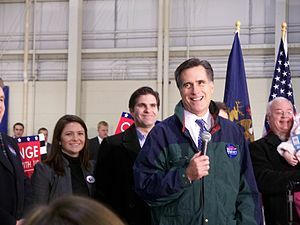 The program implies that, as he fled persecution of his faith’s polygamy, from Mexico to California to Utah, the Romney patriarch and father of thirty children – including Mitt’s father, George – made fortunes, lost fortunes, moved and made new fortunes. That need to step back, start over and succeed is what drives Mitt, too. According to Frontline, he was enormously successful at rebuilding the Mormon mission in France, after the tragic death of the wife of the misson’s leader in a car accident in which Romney was driving. That brought “that which was naturally in him to then come to the fore,” Dane McBride, who served with Romney in France, told them. If this is letting Mitt be Mitt, he is less panderer and more chameleon, by a nature he cannot control. And another record drops on the Romney spindle. Turn. Turn. Turn.